San Diego-based pianist Kyle Adam Blair premieres Brazilian composer Bruno Ruviaro’s Pós-Tudos, a collection of piano etudes based on copying, borrowing, and stealing. A veritbale dream team of creative and andventuresome musicians join forces for the first Broken Shadows show of the season. Celebrate the final night and closing party of the Soundwave ((7)) Biennial with artists David Stout and Andrew Blanton will create a sonic dialogue with the built environments around us on a biological, citywide, and global scale. Using invented technologies, generative art and immersive audio-reactive visuals, these artists demonstrate how we can both embody and translate these changes through sound and strong evolving audiovisual narratives, transforming both audiences and the historic theater itself. John Schott, Dan Seamans, and John Hanes. Original compositions, radical improvisations. Feel More Music. A diverse and exciting evening headlined by Canadian prog rock superstars Diatessaron, featuring Oakland art rock astronauts Grex and the eclectic, Canterbury rock-inflected Reconnaissance Fly. In this closing event for the Common Ground juried exhibition, new music organization Other Minds and the Brower Center present Raven Chacon, a composer of chamber music, a performer of experimental noise music, and an installation artist. Originally from the Navajo Nation and based in Albuquerque, NM, Chacon’s work explores sounds of acoustic handmade instruments overdriven through electric systems and the direct and indirect audio feedback responses from their interactions. Join Susan Rawcliffe to celebrate her new exhibit of invented instruments, “Music in Clay,” on display in the Window Gallery through October 31. Talk and demonstration will begin at 7 PM. Performance works inspired by ARA, the goddess of tears–her tears fall to create waterways, drift up to become stars–each one memorializing a journey and a story. Each night will integrate stories of migration with movement, music and multimedia art to form collaborative community rituals. ROBERT TAUB, PIANIST – Music by Brahms, Scriabin, Schoenberg, and Babbitt. Pre-concert lecture at 7:00pm, concert at 8:00pm. Scores in space take may forms. On this evening we will explore the work of Anna Halprin’s scores for dance with several of her senior students including Isak Immanuel performing Tableau Stations. Gino Robair’s opera I, Norton uses a physical score which maps the path a performer will take through the material. Podcast 548 is my conversation with Nate about Anthony Braxton, Sound American, and his latest (and coming) musical projects. 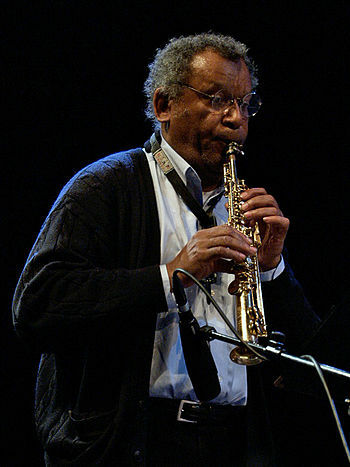 Musical selections include a Braxton quartet recording including Kenny Wheeler, and Dave Holland(“Opus 60“); “Fifth Meeting” from a trio recording with William Parker and Milford Graves called Beyond Quantum; an excerpt from one of his “Echo Echo House” Recordings from Three Compositions, and a brief excerpt from Wooley’s Argonautica. On September 23, 2016, AUM Fidelity will release Eri Yamamoto’s new album, fittingly entitled, Life. Pianist-composer Yamamoto returns here with a bountiful new collection of her singular all-original music, performed with perennial trio partners of deep empathy, bassist David Ambrosio and drummer Ikuo Takeuchi. As the album title suggests, the material moves through a far range of emotional evocation, from ebullient to thoughtfully introspective, reflecting the absolute vibrancy of her long-time adopted home, New York City, and the importance of finding space within the perpetual motion of the city for moments of reflection and meditation. Life is Eri Yamamoto’s 10th release as a leader and it also marks Ms. Yamamoto’s 20th anniversary as a working jazz musician in New York City. It was here where she first really heard the music, had a revelatory experience while doing so, and moved from Japan to devote her life to jazz. Astonishingly, she together with her trio has held – for the past 17 years – a weekly weekend residency performing only her original material, at Arthur’s Tavern, which is now the longest-running jazz & blues club in NYC. Life is a brand new studio recording, exquisitely captured live at Systems Two Studios in Brooklyn this past June; the music is presented on the album as two sets, akin to the Trio’s live working method.